Haven't had a chance to write, we are up to our arsses in snow around here, ok we have a foot, but for those of us who have been waiting its great. Just looked back at the last week and I managed to get in 12 hours of ski and snowshoe time and it looks like this week will be even more. Went classic yesterday for 2 hours at blue mounds state park, wow the tracks they put down made it like being on rails. Got home and took the dog on a deep powder snow shoe run for about 45 min. We both slept like the dead last night. Leaving in a couple of hours to go ski skating at Elver park, conditions should be rockin fast after the ski race they had there last night. Looks like the temps are going to stay below 30 with very little sunshine so we should have good skiing for a least a couple of more weeks. 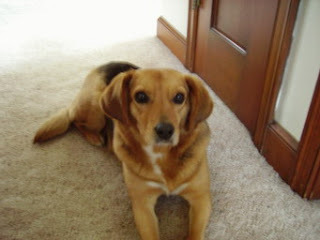 Here is a pic of our little beagle Lexi, she is small but she loves running in the snow.